The United Nations Human Rights Council was held in Geneva, Switzerland on the 18th of September 2006. The subject of the Council was reports from all specially appointed rapporteurs of the UN. Mr. Manfred Nowak, specially assigned for the issue of torture, made a report to the Council on the 20th of September. 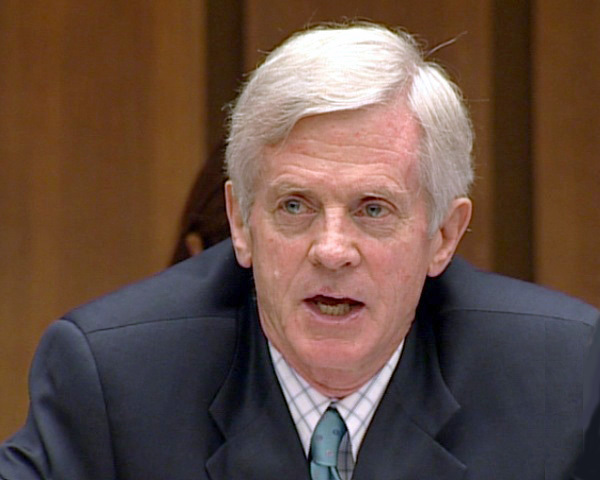 Former Canadian Secretary of State David Kilgour brought up the issue of the CCP having removed organs from living Falun Gong practitioners and then cremating their bodies to eliminate the evidence. When talking about torture in China, Manfred Nowak said that torture is widely used in the People’s Republic of China. He called it “a systematic, inhuman and barbarous act”. Mr. Kilgour said: "Regarding whether or not the Chinese Communist regime has been harvesting organs from Falun Gong practitioners and then cremating the remains to destroy evidence, human rights attorney David Matas and I jointly released an investigation report in July. In our report, we have come to the regrettable conclusion that the allegations are true. We carefully assessed 18 different elements of proof or disproof. “If you look at this evidence separately,” Mr. Kilgour continued, “You may say this or that evidence cannot prove the allegations. Yet if you put all this evidence together and read it, you will have to come to a bitterly disappointing conclusion the same as ours. The Chinese Government’s attempt at replying to our conclusion also strengthens the correctness of our conclusion. The United Nations Human Rights Council will last nineteen days and end on the 6th of October.